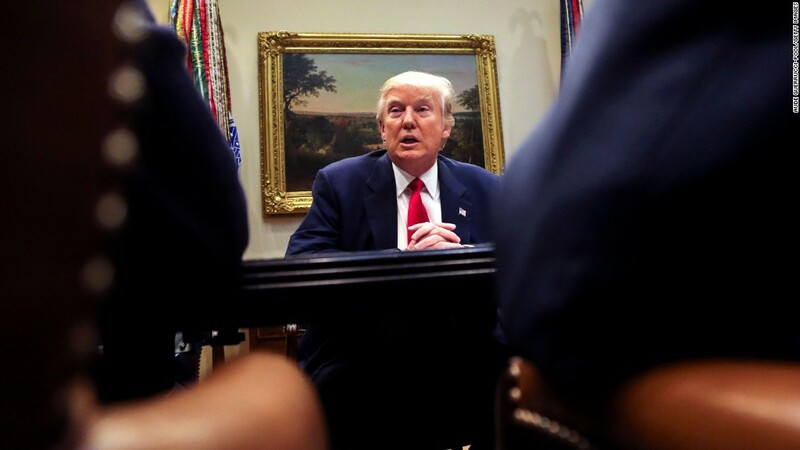 President Trump faced an onslaught of criticism Friday for his failure to repeal and replace Obamacare -- and the harshest treatment may have come from right-wing media. Many conservative websites seemed even more eager than progressive sites to stress the "catastrophe" or "humiliation" that was the failure of the American Health Care Act. The scrutiny from the right, like its opposition to the bill itself, is a reminder of the challenge Trump faces in passing legislation through the House and Senate that will also satisfy his right-wing base. It is also a reminder that the same conservative media that helped carry Trump to the White House can be a powerful adversary if and when Trump fails to satisfy their expectations. On Friday, Trump faced heavy scrutiny from Drudge Report, Lifezette and other sites which had been some of his most ardent cheerleaders. 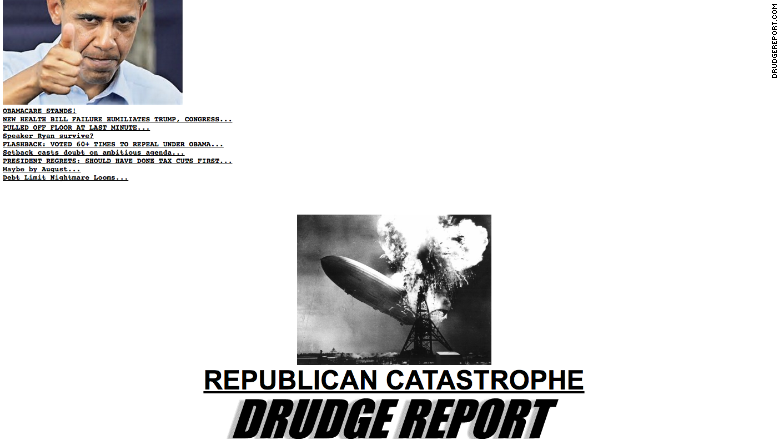 Drudge, the influential conservative aggregator -- run by Matt Drudge, who has appeared to sour slightly on Trump recently after long supporting him -- gave prominent space to headlines like "NEW HEALTH BILL FAILURE HUMILIATES TRUMP, CONGRESS..." and "Setback casts doubt on ambitious agenda..."
Lifezette, which was founded by popular conservative pundit Laura Ingraham, listed Trump first among "The Five Biggest Losers From Health Bill Debacle." Ingraham also took to Twitter to criticize Trump: "In 2016 @realDonaldTrump won the election by being bold," she wrote. "This healthcare bill wasn't that--whoever told him it was didn't serve him well." In 2016 @realdonaldtrump won the election by being bold. This healthcare bill wasn't that--whoever told him it was didn't serve him well. "It looks like @realDonaldTrump and @HillaryClinton have something in common," Ingraham also tweeted. "Both were tripped up on #healthcare." It looks like @realDonaldTrump and @HillaryClinton have something in common. Both were tripped up on #healthcare. Perhaps Trump could find some solace in Breitbart, the site formerly run by chief White House strategist Steve Bannon. As expected, Breitbart was far more aggressive in its condemnation of House Speaker Paul Ryan -- a consistent target for the site. Earlier in the day, a senior White House official told CNNMoney that it was ready to place blame on Ryan for the bill's failure, and Breitbart helped them in that effort. Even as Trump was praising Ryan for his efforts publicly, Breitbart claimed to have exclusive details -- unverified by any other news outlet -- about a discussion to replace Ryan as Speaker of the House.